Find out how to add Bitmoji to your custom geofilters. Use Bitmoji to integrate the animated character of yourself in to Snapchat geofilters. Snapchat now allows you to use the Bitmoji on customgeofilter. Bitmoji is an app that lets the uses to ceate cartoon version of themselves. You can custom the Bitmoji to be very similar to you. Bitstrips, Bitmoji creator company has been bought by Snap, Inc for $ 100 million in march this year so you can use it in your Snaps. Now you can use Bitmoji on the on-demand geofilters. First, you have to update your Snapchat app to the latest version 9.43.5.0 (November 16, 2016). Go to the App Store or Google Play Store to check it. Download and install the Bitmoji app on your device (it is available for android and iPhone) and create an account in it. If you are just using Bitmoji for the firs time, then you need to create your own Bitmoji. Launch your Snapchat app, and tap on the Gear icon or the Settings button. 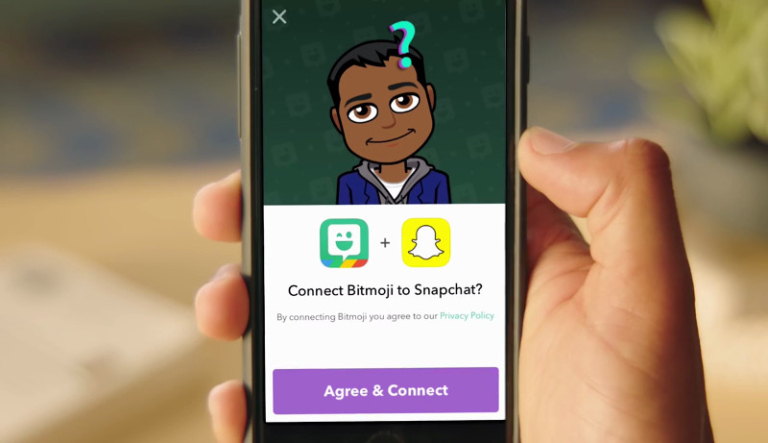 Tap on “Bitmoji,” and then “Link Bitmoji”, this will connect your Bitmoji account to your Snapchat. Now, you can custom your geofilter by adding your Bitmoji. Even to create a custom geofilter is now much easier with the templates provided by Snpchat on the editing tools in custom geofilters portal. You can choose various templates for special occasions like Thanksgiving template just in time for the holidays. Using Bitmoji will be more fun if you have a friend with an existing Bitmoji account in Snapchat, you’ll be able to use your “friendmoji” (the icon featuring both of your characters). Other recent updates is the launching of Spectacles which received positive response from Snapchatters. Did you already have it? make sure you know how to get Snapchat Spectacles. Snap, Inc, also reportedly just filed for its initial public offering, which is expected to take place in March 2017 and could see it valued at $25 billion. So that’s how to add custom Bitmoji to your Snapchat on demand geofilters. if you are having trouble in using this feature, please let us know about it. Nice! I got something like this. Cool app. I got mine from FineFilterz.